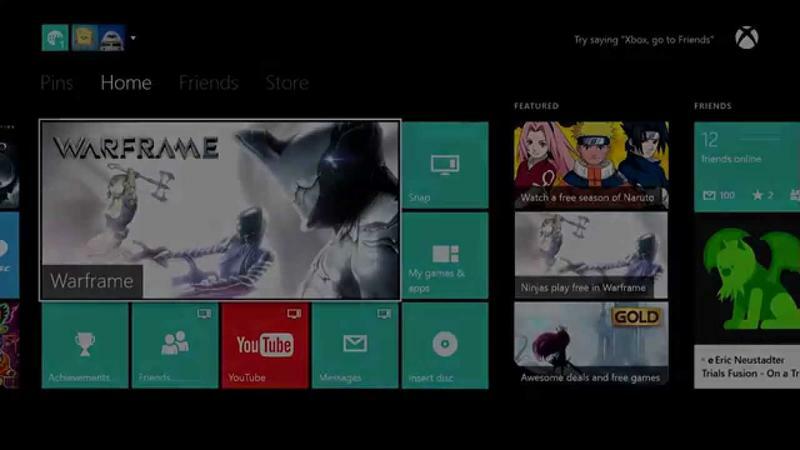 Hey look, Xbox One is getting another interface overhaul! It seems like it was less than half a year ago that we got our newest update. That’s because it came out five months ago, in March. This new one isn’t quite the big overhaul that one was, but it still brings some substantial changes to the interface. The update revolves heavily around customization and speed. 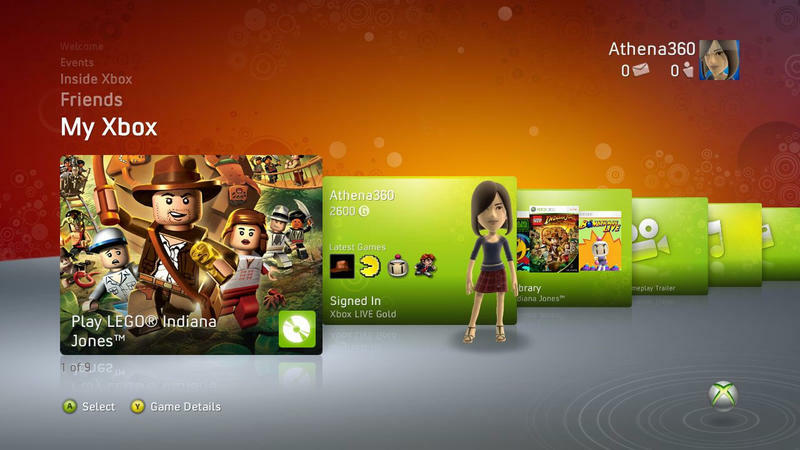 The customization lets you pin just about anything to your home page, from games to apps and even friends. 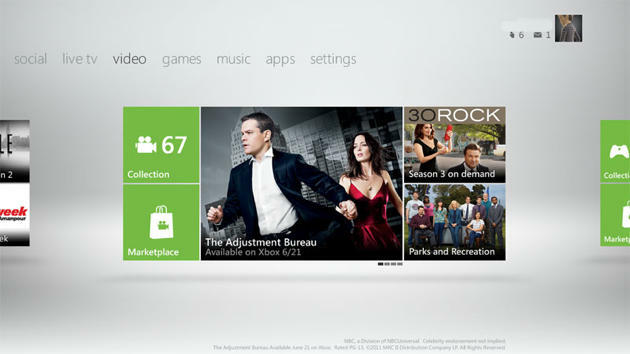 The intent is to let you see only what you want to see when you turn on your Xbox. 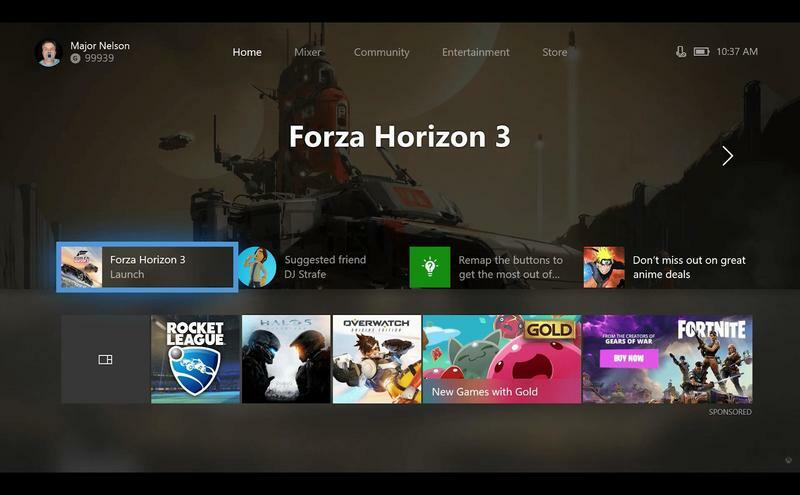 These items, called content blocks, will “evolve over time,” according to Microsoft, pulling in new information related to the items you’ve shown interest in. There’s a big focus on speed with this update, too. The vertical menu that comes up when you hit the guide menu is now along the top of the screen. The menu itself still pops out from the left side, but the menu tabs are along the top, kind of like a web browser. The tab options and the content in those tabs are mostly the same; you can just navigate them with the left and right shoulder buttons now. The team has also sped up some basic apps like Home, Social, and My Games and Apps, by consolidating them into one experience. The other day, I bit into a cookie I’d bought at the grocery store, and got what might as well have been a mouthful of cookie dough. That’s what these Xbox updates are starting to feel like; half-baked and rushed to the shelf. I’m all for updates and optimizations, but there’s a limit. For a long time, Microsoft was adding functionality to the operating system, and updates like the one that significantly sped up downloads late last year. Now, it feels like the team is just throwing stuff at us to see what sticks without giving it the proper gestation time to fully develop. I’m still getting used to the March update in some ways – partly because Microsoft hasn’t released any first party games in such a long time that I’m barely using my Xbox One. 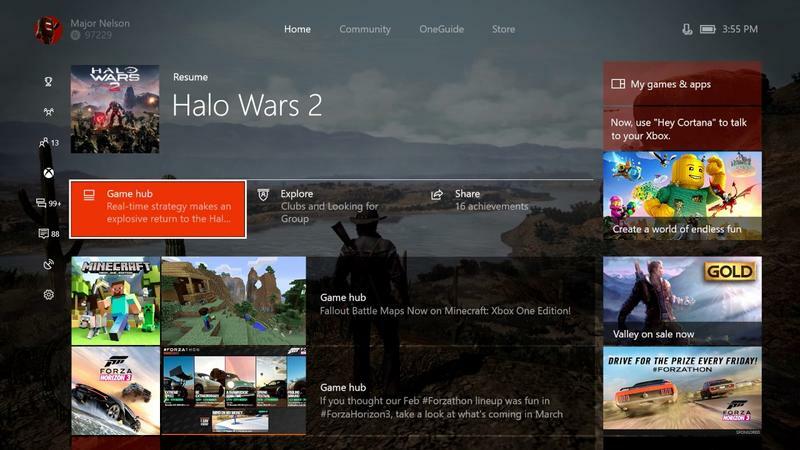 The update is rolling out to members of Microsoft’s Xbox Insiders Alpha Ring, but it’s likely a ways out for the rest of us. Some of the update is probably optimization for the Xbox One X’s impending release, but c’mon, Microsoft: can we slow down a bit?